In December, Falkor returned to the Mariana Trench for research that complemented the November expedition, and built on work that began during explorer and director James Cameron’s 2012 DEEPSEA CHALLENGER expedition. The targets were two of the deepest spots in the world—the Sirena Deep and the Challenger Deep, both nearly 11,000 meters (36,000 feet) down. The research focused on collecting trench bacteria, video and samples of whatever animals may be lurking on the bottom, and the first-ever recordings of sounds from such depths. Given that so little work has been done in the deepest trenches, the results can provide a better understanding of life in one of the planet’s most extreme environments. 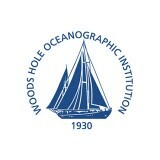 Douglas Bartlett, a marine microbiologist at the Scripps Institution of Oceanography, co-led the expedition with Gregory Rouse, a marine invertebrate specialist also at Scripps. Other leaders for the cruise, from December 15th to the 21st, included Michael Buckingham from Scripps, and David Barclay from Woods Hole Oceanographic Institution. Like the November cruise, this one focused on instrumented landers. These are sturdy frames each about the size of a refrigerator that researchers deployed from the ship equipped with sensors and sampling equipment. The landers returned to the surface automatically for retrieval after a set period resting on the seafloor. Two of the lander systems recorded sound and related parameters such as temperature while they descended, then sat on the bottom for a few hours before returning to the surface. These returned with the deepest sound recordings ever collected. Michael Buckingham from Scripps and David Barclay from the Woods Hole Oceanographic Institution, both experts in ambient ocean noise, led this work. Overall, the team was interested in sound at the bottom of the trench because they want to understand how animals use acoustics in this unique environment. Many marine animals such as mantis shrimp, reef fish, and dolphins use sound for hunting food, communicating, and other purposes. The team suspects that trench animals might be especially dependent on sound because mates and food in that realm are sparse. A trench is relatively enclosed by steep sides, and in deep waters the high pressure and low temperature cause sound to travel faster. This makes for an environment particularly conducive to the travel and containment of sound, meaning animals might be able to use it to find what they need from far away. The researchers configured a second group of lander systems with equipment for collecting microbial samples, and for observing—and in some cases capturing—larger animals. Some of the basic tools included lights, video cameras, and baited traps to collect species like crustaceans known as amphipods, that have proven to be one of the most common residents of hadal (below 6,000 meters) waters during past research. One goal was to coordinate lander deployments in hopes of using video and possibly even trapped samples to identify the animals responsible for sounds that the Deep Sound landers record. So little work has been done in the hadal zone, that there is really no telling yet what they will see, hear, or collect. Bartlett and his colleagues analyzed animal samples from the traps and sediment cores to determine what bacteria are present in their bodies. They also used various strategies to collect other bacteria for work on understanding how these organisms are able to survive the mind boggling pressures found at these great depth. At the deepest point, the pressure is about 11,250 kilograms per square meter (16,000 pounds per square inch), or roughly equivalent to balancing three SUVs on your big toe. One method was to attach small, pressurized samplers developed at Old Dominion University in Virginia that had never been used before at such great depths. These instruments collect water samples and maintain the high pressure and low temperature conditions at the bottom. Samples will be kept under the same conditions onFalkor and ultimately returned to Bartlett’s lab for experiments with the live bacteria. For instance, Bartlett and his colleagues looked at what effect lowering and raising pressure has on the microbes present, including analyses of the genes that are active, and the compounds the bacteria produce. By experimenting at different pressures Bartlett hopes to better understand how the microbes survive the high pressures. He and his colleagues have already discovered certain compounds that appear to be critical to bacterial survival under very high pressures and further work could identify others. In related work, the team outfited certain water sampling bottles with packets of fixative whose release was triggered once a sample bottle closes. This chemical effectively freezes molecular activity, so genetic material—specifically RNA—can later be analyzed. This will help in understanding the genetic makeup of bacteria in the water samples, offering clues as to which genes are important for withstanding pressure. Analyses can also reveal bacteria that are alive and active, which is a key question as numerous bacterial species not capable of surviving the pressure end up on the trench bottom after falling there dead or inactive. The team searched for genes tied to the consumption of hydrogen as an energy source. This relates to a fundamental question about trench bacterial life—whether the diverse species found there depend more on food that rains down from above in the form of decaying biological material, or food that is produced at the seafloor. An important process called serpentinization may be at play. This involves water seeping down or otherwise coming in contact with mantle rock from beneath the seafloor to produce serpentine, or asbestos. The process gives off heat, hydrogen, and minerals that can support bacterial life. Genes for hydrogen consumption could suggest dependence on serpentinization. Scientists found some evidence of exposed rocks produced by the phenomenon and bacterial use of the byproducts of serpentinization during the James Cameron DEEPSEA CHALLENGER expedition, for which Bartlett was the chief scientist. During the December cruise the team attempted to return a lander to the vicinity of that work to further their studies. Another group goal was to test additional technologies aimed at advancing lander science. For instance, they used a type of structural foam developed for James Cameron’s expedition that provides buoyancy and structural rigidity while avoiding the need for glass spheres commonly used for buoyancy in the deep sea. These spheres have a number of drawbacks including the potential for damaging implosions and a relatively short lifespan. The team deployed their landers as many times as possible, and left one lander on the bottom at the end of the cruise for retrieval during a future expedition. This will enable a long-term study of how microbes in this deep zone colonize wood and other materials placed strategically on the lander. One of the Bartlett team's landers during a previous deployment. 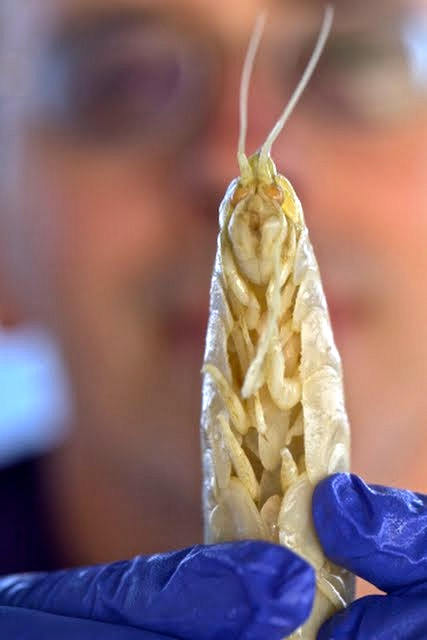 A giant amphipod collected at 8,000 meters near Papua New Guinea, with Doug Bartlett in the background. 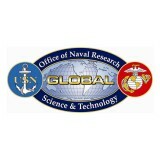 The resulting shipboard dataset is available at the Rolling Deck to Repository. Viable cell counts, Flow Cytometry, Nutrients, and PRS data are all archived and available at the BCO-DMO Repository. 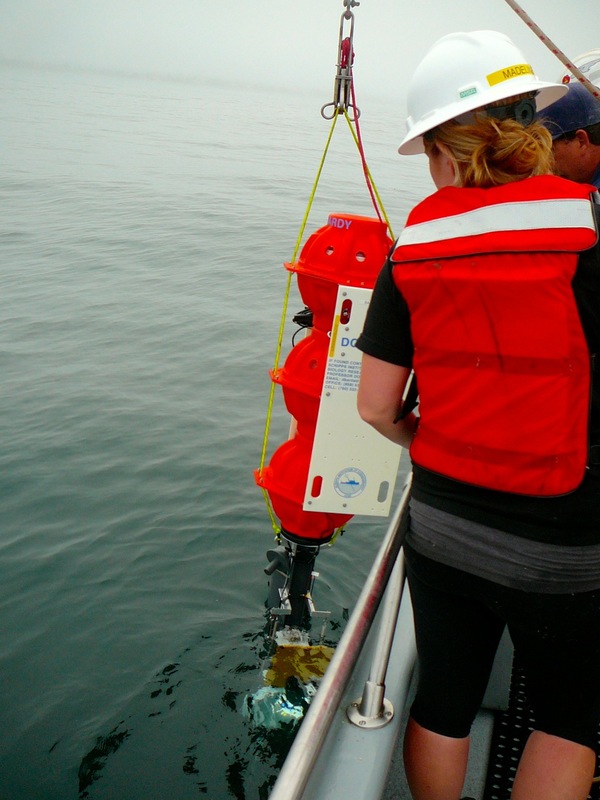 Physical Data, including deployment metadata, Salinity, Temperature, Sound Speed, Depth, CTD, vehicle orientation and the raw (unprocessed) acoustic hydrophone data is stored at Dalhousie University and is now available. Challenger Deep Video: Video footage showing the Leggo Lander that went to the deepest spot in the ocean posted on YouTube. 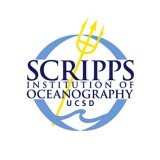 Representatives of the collected Hirondellea gigas and Halice species amphipods are available at the Scripps Institution of Oceanography Benthic Invertebrates Collection. 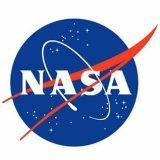 They were collected from the eastern portion of the Challenger Deep (11.368536N, 142.5875166E at 10,929 m depth on December 19, 2014 using the Leggo Lander with its camera payload equipped with Jack Mackeral as bait. Images of these amphipods can be viewed here. Microbiological and General Nutrient Data obtained from Niskin bottles deployed with the Leggo Lander, including viable and direct cell counts, nutrient data, the identification of bacteria obtained, MDA amplification, and 16S rRNA gene screening are available through Google Docs. Video and Images of amphipods collected during the cruise hosted on Google Docs. Audio File Deep Sound 2 is a record of the sound of spalling glass inside the Vitrovex glass sphere during the deployment of the instrument during the cruise, currently available through Google Docs. Audio File Deep Sound 3 is the sound of the implosion of the Deep Sound 3 instrument in the Challenger Deep. The audio was recorded by Deep Sound 2 and is current available through Google Docs. Leggo Lander drop locations and depths are included in the Preliminary Cruise Report. The metagenomic and metatranscriptomic data for gut microbiota of amphipod in the Marian Trench were deposited into NCBI, with accession numbers SRP071106 & SRP071109. The genome sequences of the new Psychromonas strain has been deposited into NCBI/GenBank under accession number NDFH00000000. Lan, Y., Sun, J., Tain, R., Bartlett, D., Li, R., Wong, Y., Zhang, W., Qiu, J., Xu, T., He, L., Tabata, H., and P. Qian. (2017). Molecular Adaptation in the World's Deepest-living Animal: Insights from Transcriptome Sequencing of the Hadal Amphipod Hirondellea gigas. Mol. Ecol. 26:14, dOI: 10.1111/mec.14149.